Let’s just get this anniversary story going. What I decided to do for George was hire a chef to come to the studio and cook us a very nice anniversary meal. I got in touch with a friend who is a chef and she agreed. I was so excited about this. I even kept the secret from George, which is not an easy thing for me to do. Our anniversary was on a Thursday. That Wednesday morning I turned on FaceBook, as usual, and there was an X-ray of my chef’s hip and leg. She was in an accident the day before. I contacted her to find out her status and she said she would be slow because she was on crutches but she fully intended to cook that meal for us. I had my doubts but was so excited about my grocery surprise. Thursday she contacted me. She was in a lot of pain and would have to cancel. Well, bummer. Now what? At least I was able to tell George the wonderful plan I had. We had Chinese take out for dinner and watched a movie. Please don’t feel sad for us because the next night, Friday night, we went to Paradise for dinner. I had posted on FaceBook for friends to join us for our little celebration. When we arrived one of my sweet Nereid sisters, Chrissy and her husband, Mike, were waiting for us. We had a delightful dinner together. Chrissy and Mike then left and I was surprised that one of our very best friends in the world showed up with her mother and great niece. Suzie is more family than friend. She has been with us through every major (and minor) event since we moved to Pensacola. We visited and had a wonderful time. Then my friend, Angela, and her husband Keith arrived. Angela, like Suzie, is more family than friend. In fact, Keith likes to say that Angela wouldn’t have married him if it wasn’t that Suzie and I insisted. Not only insisted but I performed the wedding ceremony. After awhile I looked up and another friend, Lisa, appeared. I hadn’t seen Lisa is many years and we had a lot of catching up to do. We had so much fun that George said we need to do this every week. Things always work out for the best and even though I still think the chef idea was a fabulous idea, we had a simply splendid anniversary. This summer has been very busy at Cajun Stitchery. Aside from in-town orders, the Etsy handkerchiefs are having a bumper year, especially the lace handkerchiefs. As you know, I get so tickled at all of the writing these young ladies want on these handkerchiefs. 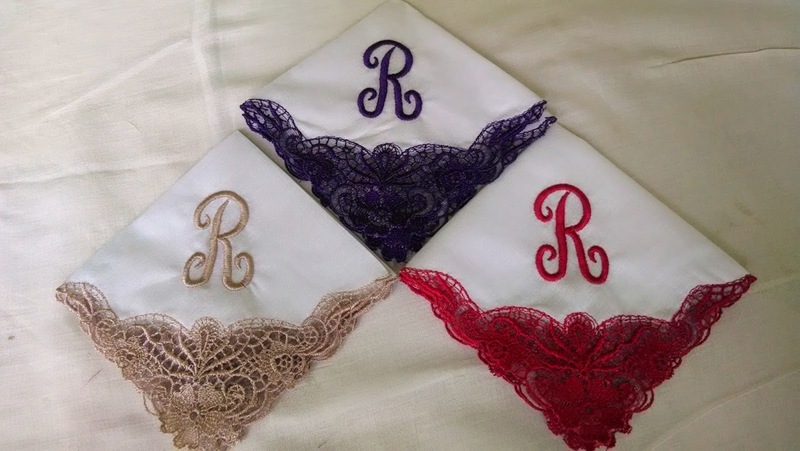 One lady wanted a lace handkerchief for the groom’s mom and for her mother. 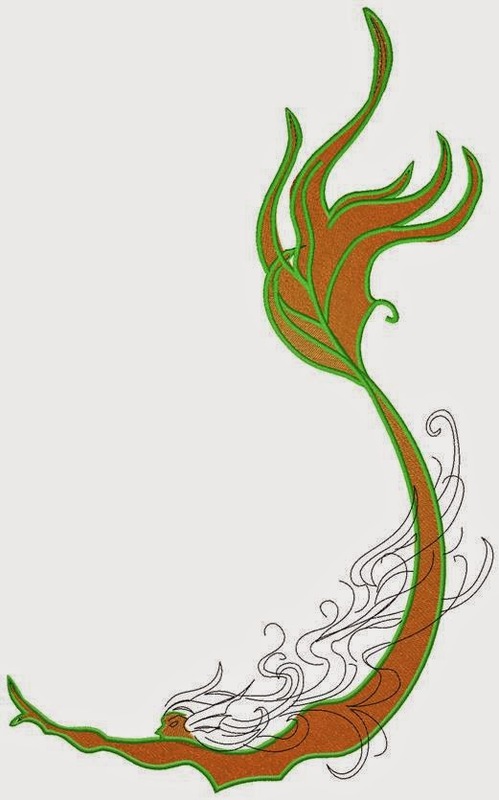 The lace handkerchief has less space for writing than most because the lace takes up the space. 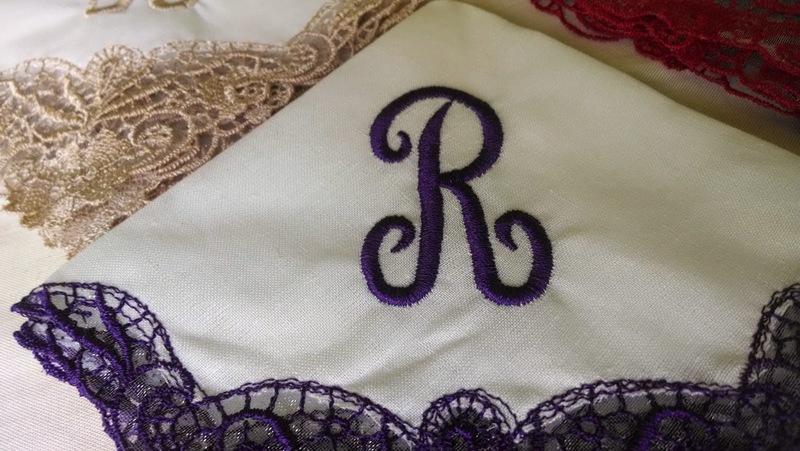 This lady had long sentiments, for a handkerchief, and no matter how I played with the embroidery digitizing, the wording simply was not going to fit in the ¼ hanky area customary for monograms and wording. I suggest she try another style but she had so much wording that it wouldn’t fit in that ¼ area on any of the handkerchiefs. Not to mention that she had her heart set on a certain font that just would not stitch out as small as it would need to be. 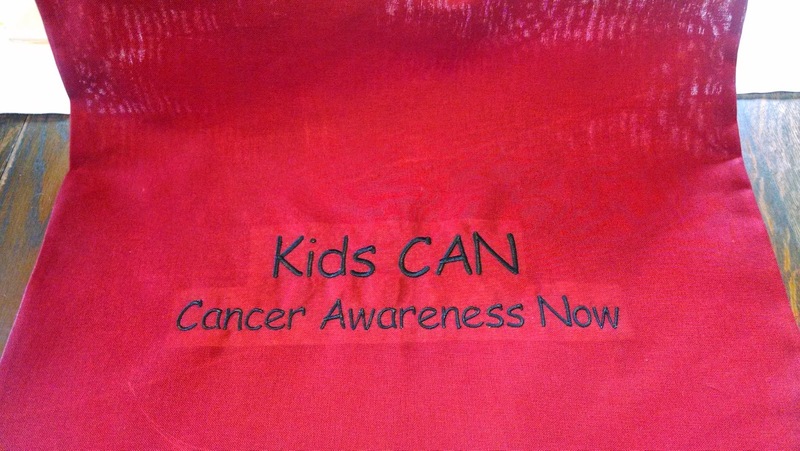 The end result was letting the wording flow into the rest of the handkerchief and not stay in the ¼ area. They turned out beautiful and she was very pleased. I received a call one day from a panicked bride-to-be in Milton. 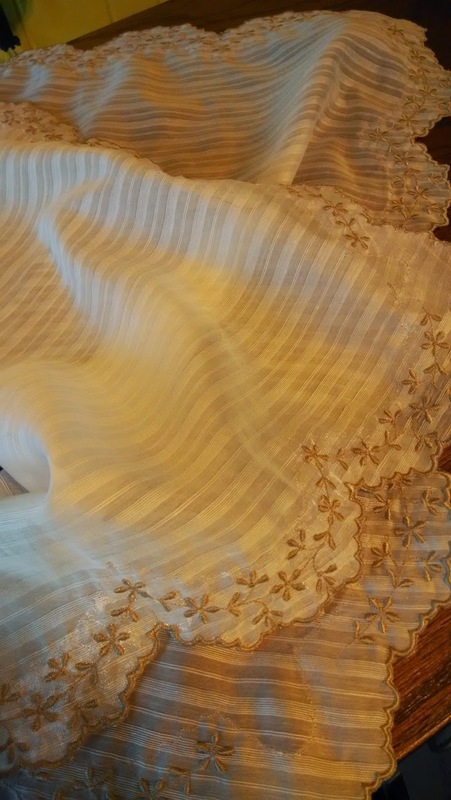 She needed 2 handkerchiefs: one for mother of the groom and one for mother of the bride. Problem: she called on a Wednesday and the wedding was the following Saturday. And, I had other orders ahead of her. I wasn’t sure I would have time to get this done for her but she was desperate. Rather than driving to my house, I told her to get on Etsy and go to my shop; then message me that she is the girl I talked to; and she could pick the handkerchief she desired from the Etsy store. It worked perfectly. The order was placed, paid, and I made the handkerchiefs. The only trip required was her fiancé picking up the handkerchiefs. They were already paid on-line so he didn’t have to bother with anything but the pick up. We mailed another handkerchief this morning to a lady in California who is getting married next week. Another goes out Monday to Michigan. 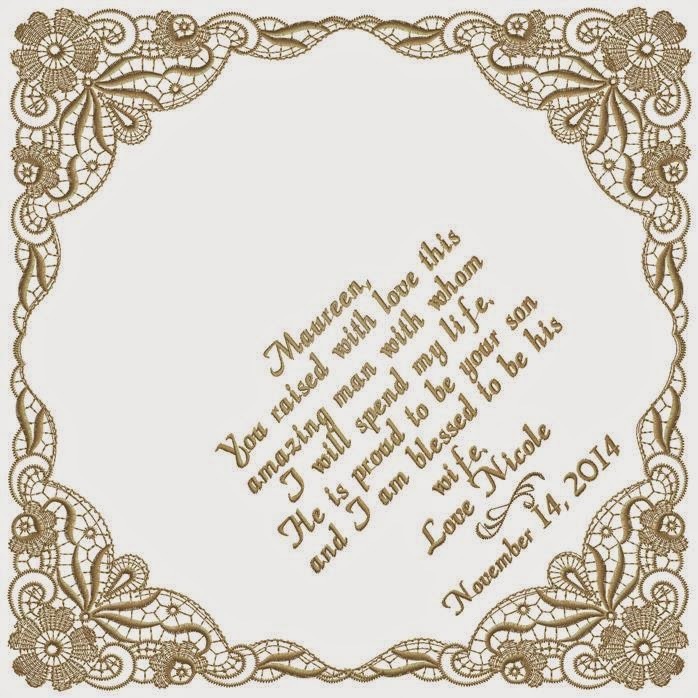 One of the beauties of the wedding handkerchiefs is the stories that go with the orders. They have either waited too long and are in a hurry to get the hankies, or they want everything just perfect and want to go through every detail. I think it is so sweet. I spend much more time on these handkerchiefs than I get paid, but it is kind of nice to think that someone is carrying or gifting something that I made on one of the most special days of their life. Every bride deserves to have something very beautiful and special. Since the handkerchiefs are such a hit and because I am a bonafide fabric-holic, I purchased 3 bolts of satin: white, ivory, and black. The handkerchief section needs to have new and special items. 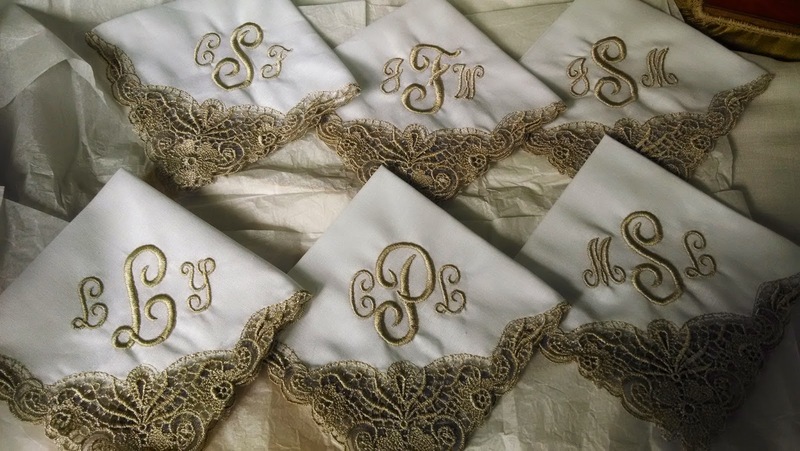 I’m going to design some satin handkerchiefs and see if the brides like that. 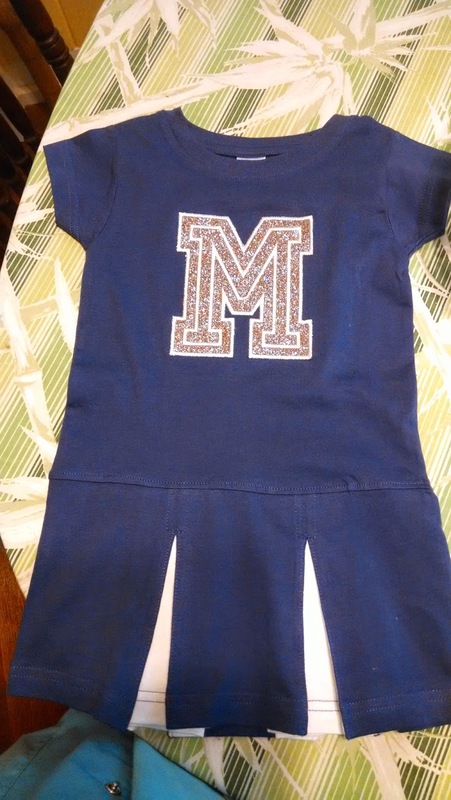 For a week in early August we had onesie week. 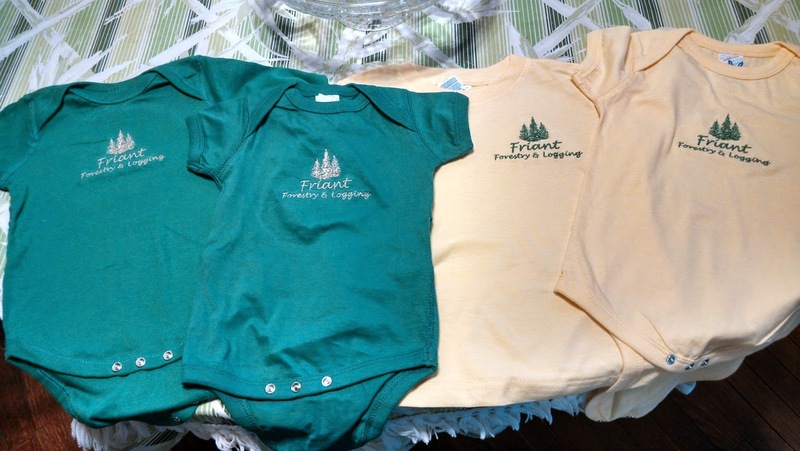 It seemed like all orders were for onesies. In addition to the orders, I had some baby birthdays and showers to tend to myself. The shower was for a baby boy who is to be named Cruz. 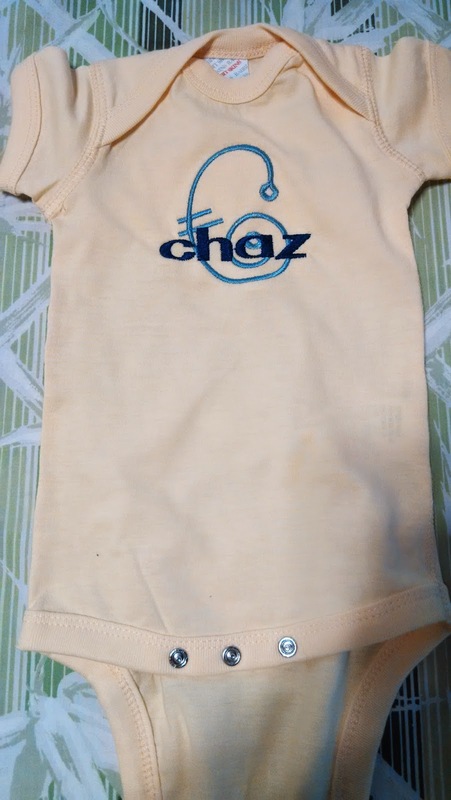 For some reason I got the name Chaz stuck in my head. 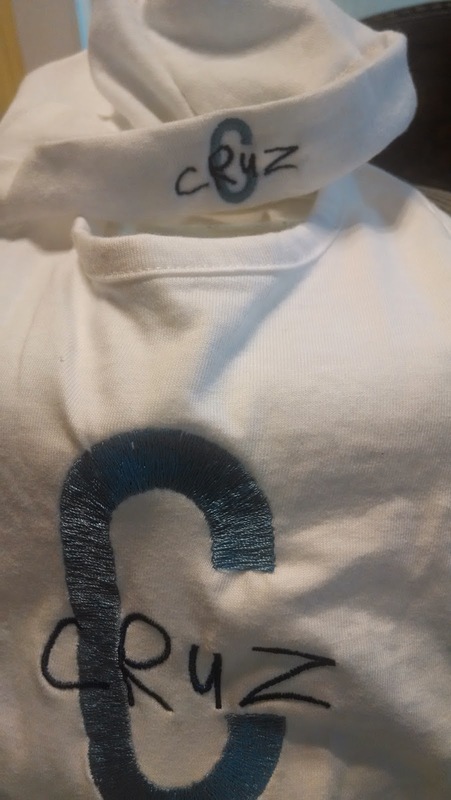 I did some really cute monogramming for Chaz. When I was ready to wrap the gift, thank goodness, I looked at the invitation and saw Cruz. Well, there is no taking out these stitches. I ended up monogramming a baby bib and baby cap. Of course, they never knew what happened. 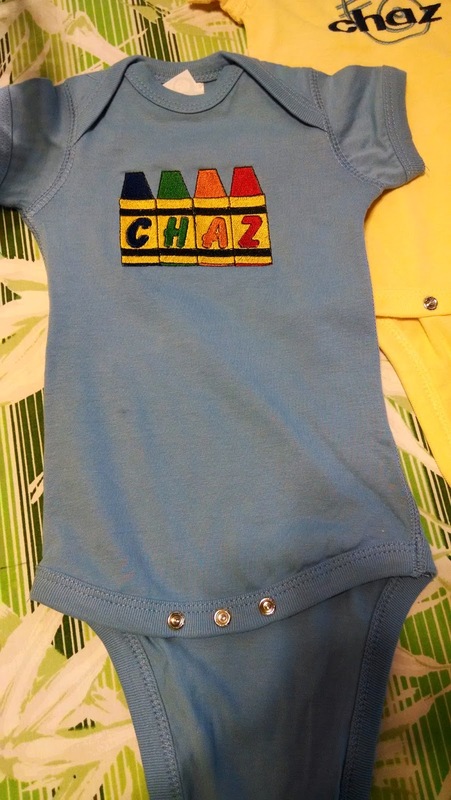 So, if anyone knows a newborn named Chaz, I have a couple of really cute onesies that I’ll sell cheap. Then my computer crashed and died. Thank you Shelley for telling me about Joe Stukey, who now has my computer. Things I’ve learned from past experiences with computers may have saved the business. #1. The only things that I keep on the C drive are my programs; never my files and documents. Files and documents are kept on an external hard drive, flash drives, and Dropbox. #2. Always, always, always make recovery disks and keep them where you can find them. #3. Back up everything and do it often. Our newer computers have Windows 8, the older ones have Windows 7. I had made recovery disks for Windows 7 but didn’t know how to do it for Windows 8. The computer guy said that Windows 8 is the first one that will allow you to copy the recovery disks onto a flash drive. He made a recovery flash drive for George’s computer and I’m still trying to figure it out for mine, but we will get it done. The other thing that saved the business is that we each have 2 laptops. Now that my Windows 7 laptop is in the shop, I’m using my Windows 8 laptop. Does size really matter? 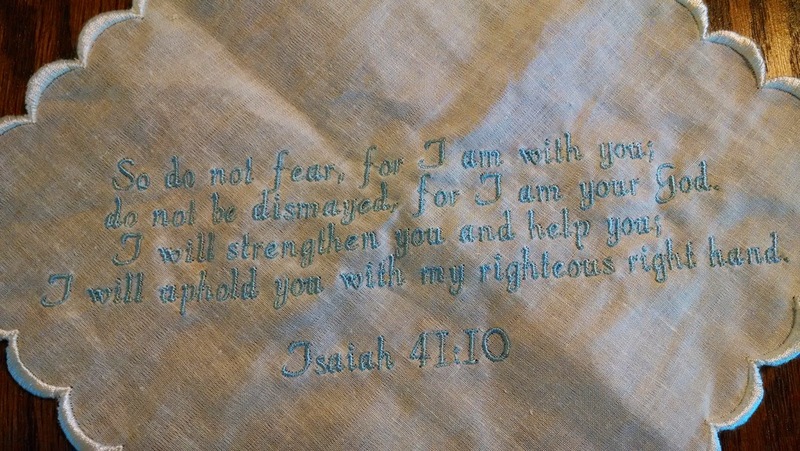 Sometimes in embroidery it does matter. With that said, I want to inform you it is my understanding Cajun Stitchery now owns the biggest hoop in the embroidery industry. It is not so much the size of the outside of the hoop as it is the footprint of the hoop and machine. Any machine has its limits. 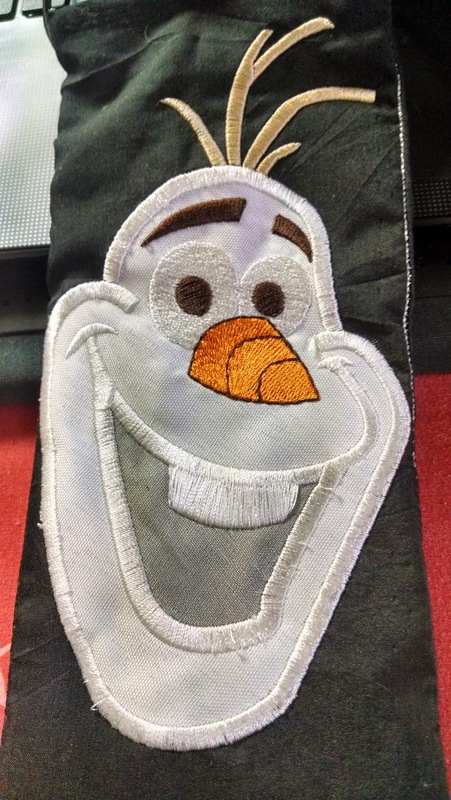 On embroidery machines you can go just so far side-to-side and up and down. That is known as the X and Y axis. Flashback to algebra, huh? Our new hoop has a stitching footprint of 16” wide and 14.75” tall. That is very big. Of course, if you turn the design sideways it can be 14.75 x 16. Just to test the new hoop, I enlarged a fleur de lis to these dimension and stitched it out. Of course, I don’t have any designs that large now but we can now make them that large. You aren’t going to buy designs that size, either, unless they are custom designed. That’s not to say that other machines and other hoops cannot complete a design that size. They can but not in one hooping. It is now August. George and I will be celebrating our 44th wedding anniversary on August 14th. George did a little research and found that the traditional wedding gift for a 44th anniversary is groceries. Yep, you read that right. George said he’s going grocery shopping for our anniversary. I’m still thinking about what to give him. He’s not a big fan of sweets. Maybe I’ll just take him out to dinner but that is just so blasé. Any ideas? 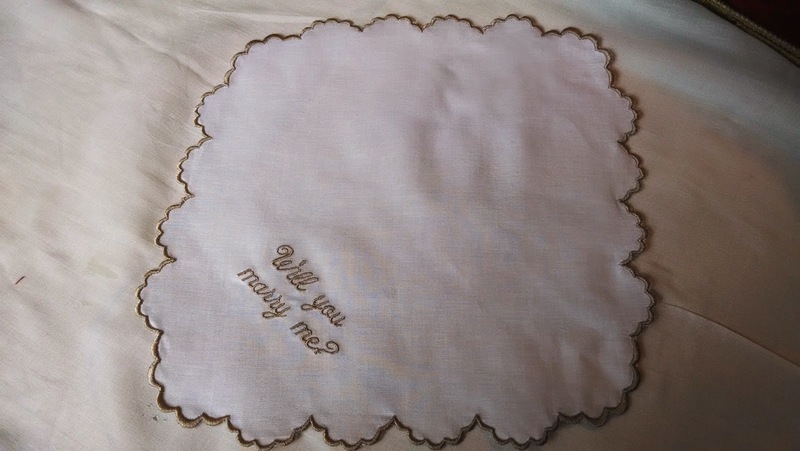 We have added a new category to our Etsy store for Wedding Miscellaneous. 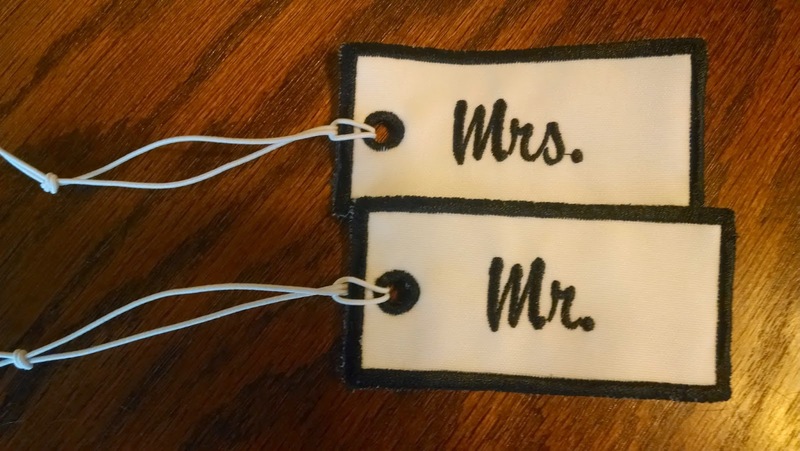 There are little and big corset bags, Just Married luggage tags, Mr. and Mrs. Luggage tags, and a few other items. Hopefully, more items will be included as time goes by. The new category is because so many people want to purchase unique gifts for wedding and baby showers, as well as birthdays but unique items are either too expensive or not special enough. I’m going to try to do some items to help out. I know there are years when it is one wedding after another; then there are years with a multitude of baby showers (usually the year after the weddings). The pocketbook tends to start shrinking after a few of these showers. Practically speaking, I would think you can never go wrong with diapers for baby showers, but so many of the young people these days are going with the holistic and environmental thing and you don’t know what kind of diapers to get. 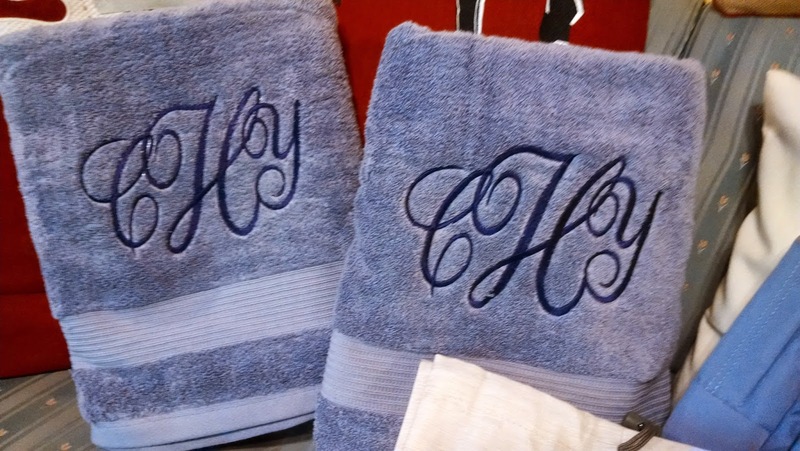 Monograms are always in vogue and appreciated. They aren’t very expensive, either. 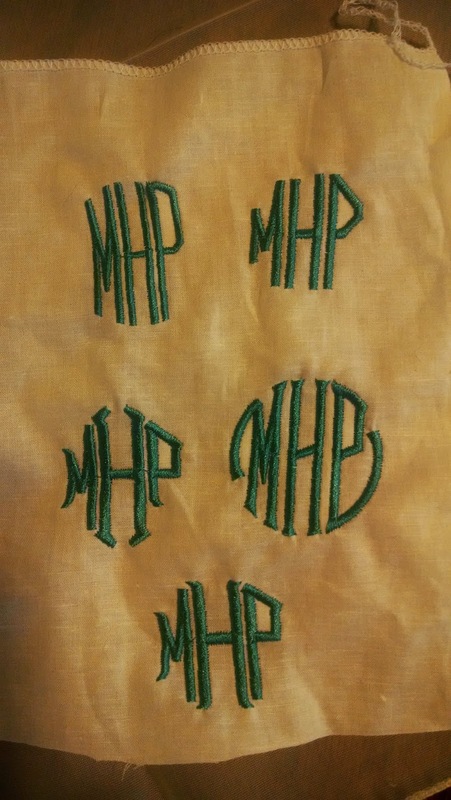 If I can hoop it; I can monogram it. Yes, even diapers. And, I have monogrammed disposable diapers. Texture question: Yes, different textures are digitized differently, not to mention there are different techniques in embroidering different textures. For example: if we are embroidering on light linen or cotton, like a sheet, heavy embroidery would be too much and look funky. You want something light on a light fabric. 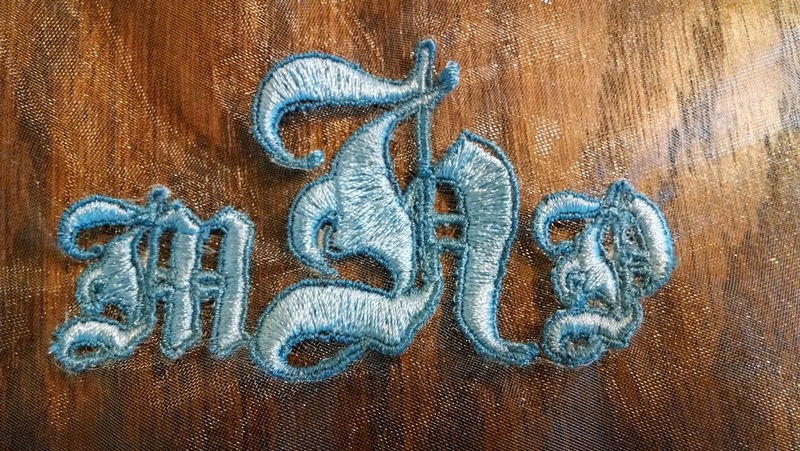 Heavy embroidery could tear a light fabric. However, if you are working on a heavier fabric like the primitive linen, you would want a heavier design so that the embroidery would not look washed away. Heavier fabric requires an underlay most of the time. 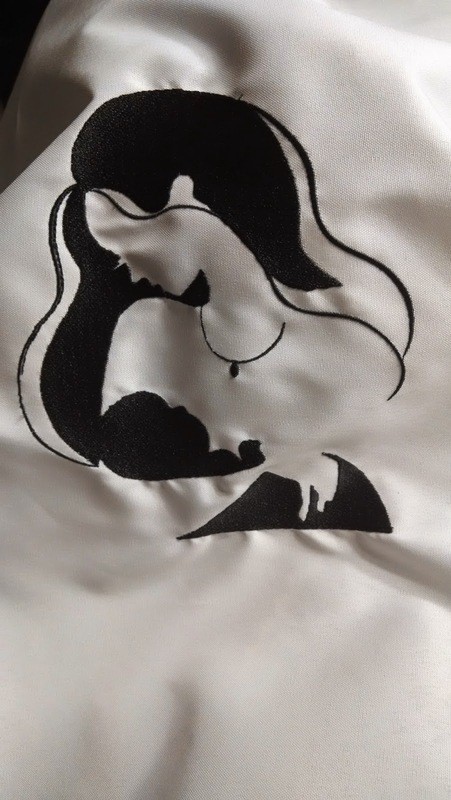 Remember the pillowcases that I made? Remember the embroidery on the edge compared to the embroidery as you had me change it. 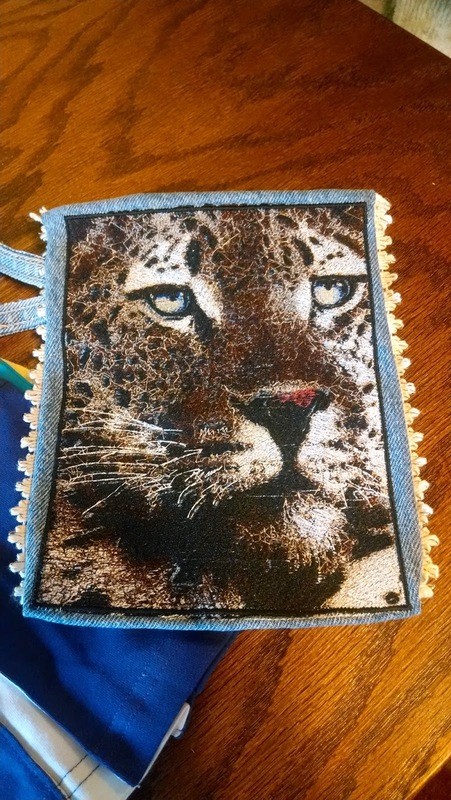 It was the same design but adding the underlay made the embroidery stands out, have texture, and look more elegant. If you are using toweling, velvet, corduroy, anything with a pile, you need to digitize to help the design stand above the pile and/or keep the pile down. A lot of that is also in the embroidery technique used. Leather, plastics, netting and card stock need the embroidery with longer spaces between the stitches so the fabric is not ripped. So, in a lot of respects the fabric determines how a design is digitized. 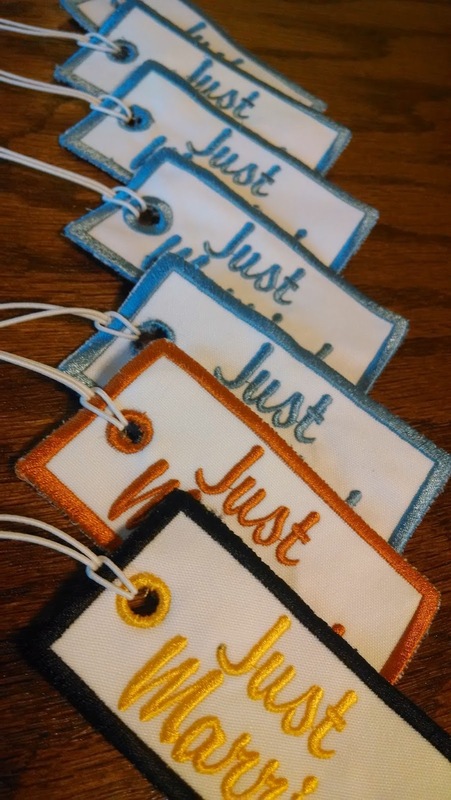 Price-wise, more stitches = more cost.